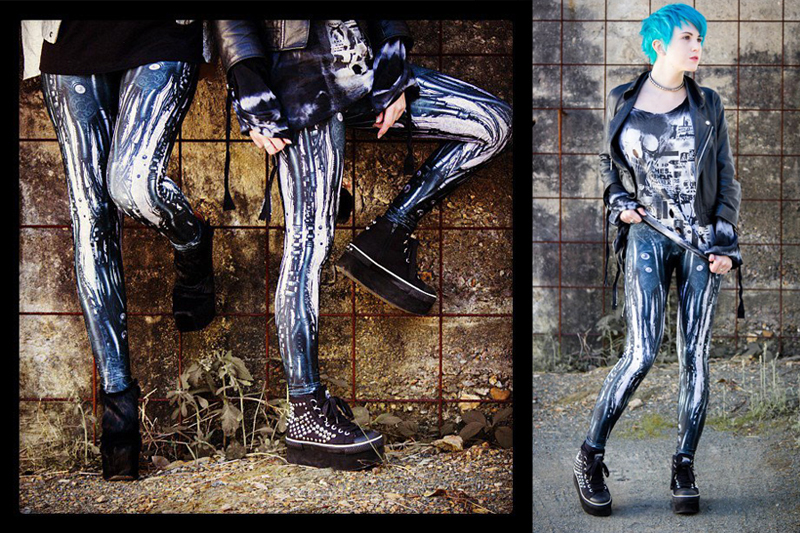 shichigoro-shingo collaborated with “Black Milk Clothing” which is popular brand of leggings in Australia. One each of swimsuit and leggings was put on sale this time. The swimsuit printed with “kami-kaze“, but the leggings printed with original artwork that I drew for Black Milk. In a world where biomechanical creatures rule the world and humans are being hunted toward extinction, the only way to survive is to blend in. During The Nylon Wars, an alliance between an Australian designer and a Japanese artist resulted in these mechanical leg coverings; these leggings have saved untold lives. 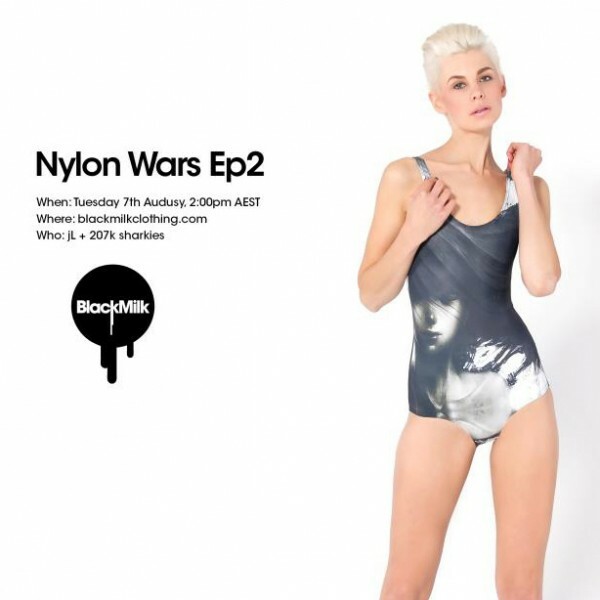 During the Nylon Wars this young mecha girl fought on the side of the Sharkies. 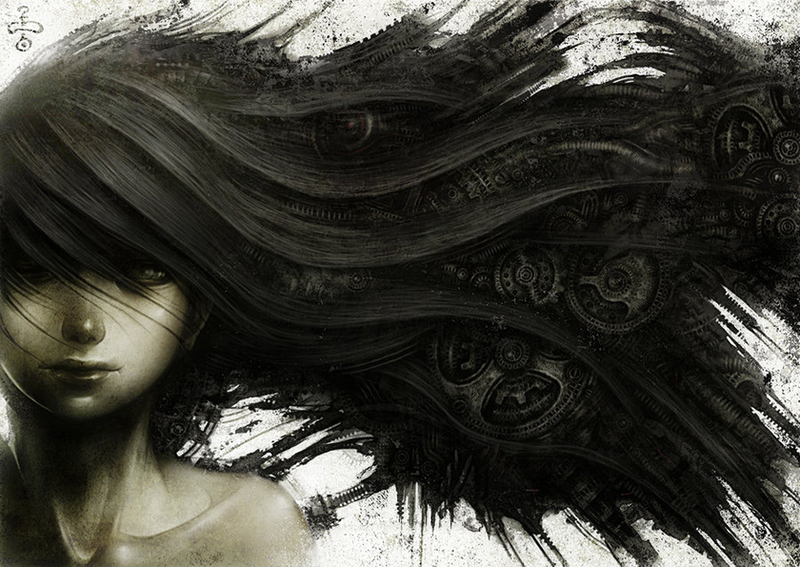 No one knows exactly what she sacrificed, but whenever a glimpse is caught of her these days she looks sad like this. Pay tribute to her struggle by wearing her on your torso. This swimsuit is a collaboration between Black Milk Clothing and artist Shichigoro. I drew artwork of the leggings with tubes and gears because it was requested a mechanical artwork. Black Milk has more interesting collaboration goods with video games such as Tetris, movies such as Star Wars, arts such as Escher and Klimt, and the universe photos of NASA. Please check it, if you are interested.